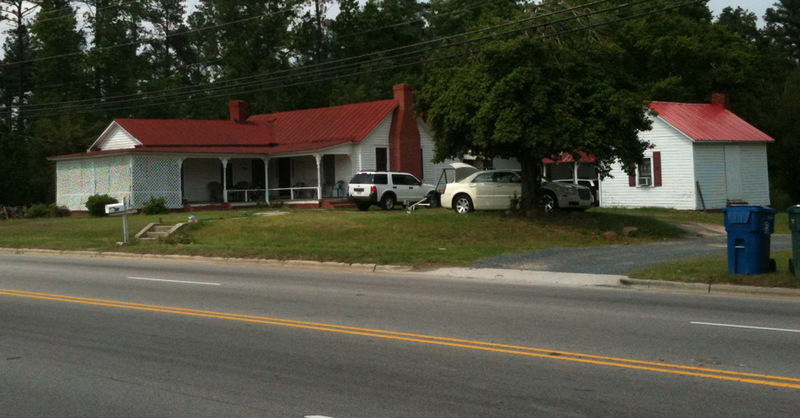 This was the Upchurch Homeplace. Roger Upchurch was a well known lawyer in Durham for many decades. My Dad ran over a puppy here in the mid 1950's, and Ms. Upchurch was so understanding and gracious that I still remember it 60 years later. I've always loved this persistently country farmhouse with the red tin roof, 'meandering' porch, well, etc., sitting on 10 acres between the new Hillside High and Mount Zion.